You don't get a second chance to create a good first impression. Planning how you dress your Front Entry sets the mood for your entire home, giving guests a glimpse of the delights that await them as they enter. Scale - be sure to select a piece that is hefty enough for the space. So often entry consoles are too small for the area. 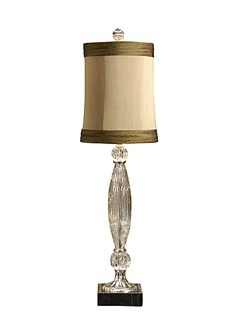 Once you have the perfect piece, top it with a charming lamp to warm the space. I do love an impressive chandelier but lamps are needed as well to brighten and warm the space. Next to the lamp build a beautiful tabletop. It can be a seasonal theme, a custom floral, or a group of three accessories. Hang a beautiful mirror to reflect light and accent the accessories on the console. Click here to read more from the July Design Brief.